Just over a year ago, Hurricane Irma hit the Florida Keys, decimating hundreds of homes and leaving many of the 73,000 full-time residents displaced. Much of the affordable housing that once existed in the Keys—mobile homes, manufactured homes, and RVs—was substantially damaged by the storm. This devastation further exacerbates the Keys’ long-standing challenge of maintaining affordable, workforce housing stock in the face of highly-valued land and the dominance of lower-paying tourism and service-sector employment opportunities. This August, Monroe County and the newly-formed Florida Keys Community Land Trust (the Trust) opened the first of four new tiny homes on Big Pine Key. 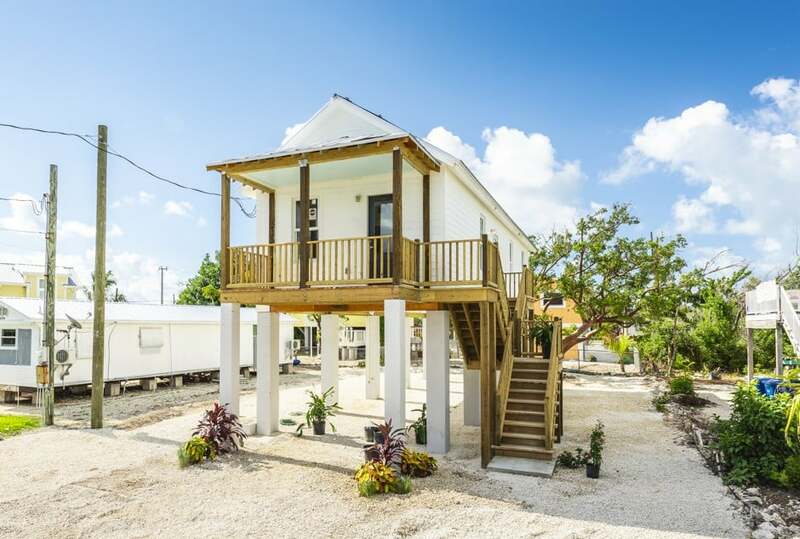 Inspired by the “Katrina cottages” built in the Gulf Coast after Hurricane Katrina, Big Pine Key’s new cottages are less than 800 square feet, elevated 12 feet from ground level, and built to withstand 200 mph winds. In order to maintain affordability, monthly rent is capped at $1,588, 80% of the area median income, and the Trust is giving preference to families still displaced by Hurricane Irma. These four tiny homes are just the start—five more homes are scheduled to be built by January and the Trust hopes to build 20 more in 2019. The Trust was formed in 2017, in the aftermath of Irma, to preserve and enhance the way of life for Monroe County’s workforce through constructing efficient and resilient affordable housing. In alignment with the RCAP recommendation to incorporate risk-reduction strategies into planning by supporting land trusts, Monroe County purchased the land, establishing a 99-year lease with the Trust to increase access to community-owned affordable housing.